Newly Established Grant – The Helen C. Pensenstadler Sacristan Grant was established to honor the memory of Helen C. Pensenstadler, who was the Sacristan (“Church Lady”) at Saint Elizabeth Ann Seton Church for 26 years, taking care of the altar, vestments, liturgical vessels, and altar flowers, until her death in 2015. This yearly grant is given to a student attending a Catholic High School or a Catholic College/University. At the 11:00 Mass on Sunday, August 14, 2016, the 1st recipient was presented with this grant. Congratulations to Dylan Tatters, who will be continuing his education at Duquesne University, where he will be studying Supply Chain Management. 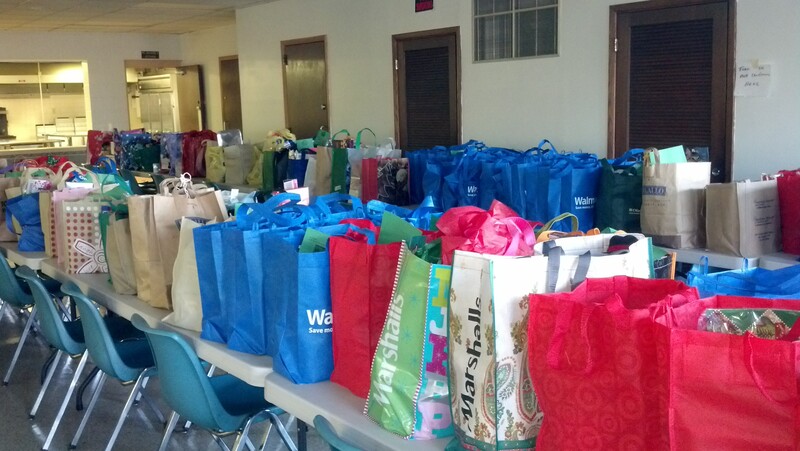 Holiday Dinner Totes – Thanks to all who donated a holiday dinner tote for the needy at the December food bank. The families were very appreciative of the gift. Lunch Bag Thank you! Special thank you goes out to the Stewartsville Lions for their donation in the amount of $250 towards our Lunch Bag program. 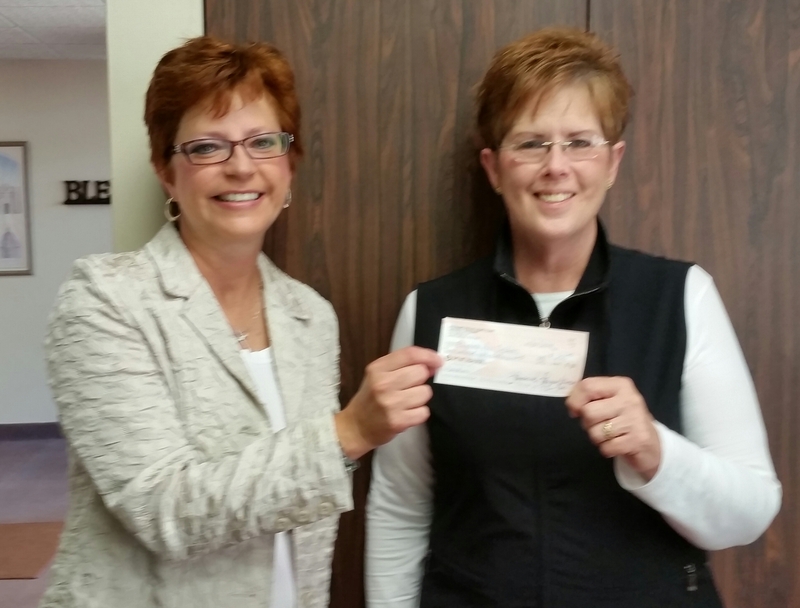 The check was presented at their recent meeting to our Debby Pazehoski, Lunch Bag Coordinator, and Julie Henry, Stewardship Minister. Debby and Julie spoke to the group about how the program was developed nearly 5 years ago and the fact that when the program began there were 60 children that we helped. That number has grown to 115 children in the Norwin area in need of our help. We are very grateful to the Stewartsville Lions Club for their donation and support of our Lunch bag program. 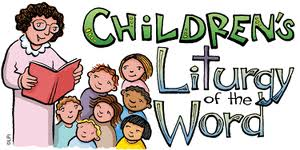 Children’s Liturgy of the Word – We are in need of more volunteers for this ministry. We would like to be able to offer this ministry at all Mass times, and on a regular scheduled basis, starting in the fall. A training program will be held and all materials are supplied. No previous experience is necessary, however, the volunteers over the age of 18 must be CPSL complete. This is also a good service project (service hours) for our teens, who will work along with an adult. Schedules will be made based on Mass preference and availability. For more information on signing up as a Liturgical Minister or to help with the Children’s Liturgy, contact Julie at the office (724-864-6364) or by email at jhenry2@dioceseofgreensburg.org. Calling all Men! The Seton’s Men’s Group is looking for a few good men to join them every 2nd & 4th Saturday of the month at 8:00 am. Please note time change. We meet in the church for prayer time followed by discussion/planning. Beginning in May 2014, we will meet twice a month, on the 2nd & 4th Saturday of the month. The parish family is invited to come and say the rosary with us every Saturday morning at 8:00 am. It is a good opportunity to come and share your time, talent and faith with other men of the parish. If you need more information, contact Scott Benedict at 412-754-1849. The “Cover of Many colors” is a new project where we will be making lap blankets for nearby residents in senior care homes, home bound friends, and veterans. Needed is #4 medium yarn and also people to crochet the granny patches (4×4 inches or 3 rows of granny stitches). These are then stitched together to form a 36 x 40 inch throw trimmed with a lovely edge. If you are interested in helping, either to crochet or to teach others to crochet, or even to purchase the yarn, please contact Tammy Holleran at 412-638-4296 or Anita Poetain at 412-888-6908. 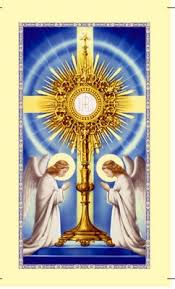 Eucharistic Adoration – Join us on the 2nd Monday of each month at 7:00 pm in the church for an hour of silent Adoration before the Lord. When we come to Adoration, we enter into the peace of Christ. The monthly adoration is sponsored by the Men’s Seton Club. 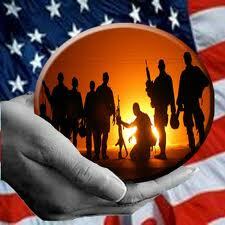 Attention Families of Military Personnel – Is your loved one currently serving in the US Military at home or abroad? We are in the process of compiling a list to be included in the parish bulletin, prayer chain, and to update our bulletin board located in the back of church. If your loved one is in need of continued prayer, please provide Julie at the office (jhenry2@dioceseofgreensburg.org) with the following information: Name of loved one, Branch of Service, Rank, station, picture and/or additional information to be included on the bulletin board. A new display is now on display. Operation Lunchbag (during school year Sept-May, but NO December)-Donations of healthy lunch snacks and drinks for the children whose parents participate in the Food Bank are being accepted. 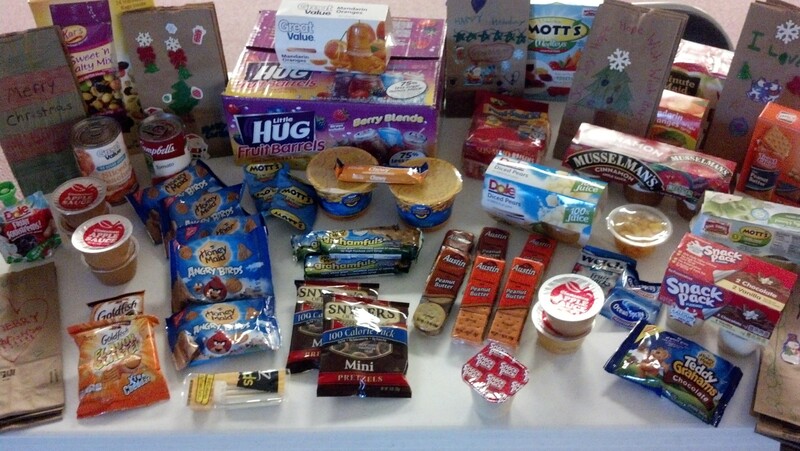 Items that are needed are snack pack pudding, fruit snacks, fruit cups, peanut butter crackers, microwavable entrees and juice boxes. (PLEASE NO CANNED GOODS) Donations may be dropped in the box marked “Lunch Bag” in the back of church. NOTE: Items must be in their original unopened package. We cannot accept any opened items for the lunch bags. Thank you. The children in our Faith Formation classes help out throughout the year. Each grade takes a turn decorating a bag for a holiday, and also by donating items to place in the lunchbags. Many thanks to our youth for helping others! Prayer Chain and Parish Newsletter – In order to update our records and to improve our communication, parishioners are asked to supply their email address to Julie at jhenry2@dioceseofgreensburg.org. 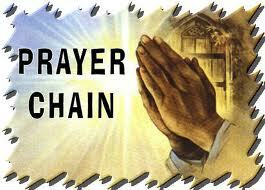 Prayer requests and intentions can be sent to Julie, which are then compiled into a Prayer Chain email. This email is then sent to our Prayer Warriers asking for prayers. What better way to have many people praying for your intentions! We also have begun sending out a monthly Parish Newsletter, Seton Chronicles, so that we can keep everyone up to date with parish activities. If you are not receiving either of these, please send your email address to Julie. 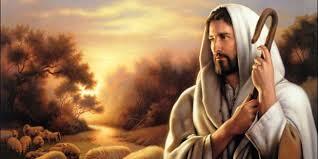 Help Needed – Each of us are asked to serve God by sharing of our time, talents, and treasures. 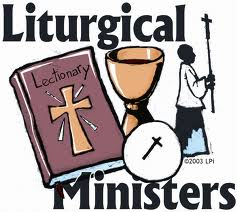 We are currently in need of a few more members in each of our Liturgical Ministries: Altar servers, lectors, Eucharistic Ministers, Greeters & Ushers. These ministries require only an hour of your time, once every few weeks. Schedules are made up based on your Mass preference and available dates, and we can also accommodate if you are a member of more than one ministry. Training and materials are provided for all ministries. Please prayerfully consider sharing of your time and talent by serving as one of our Liturgical Ministers. Angels Corner-Queen of Angels Catholic School – Please don’t forget about Queen of Angels “Trash to Treasure” programs. The school saves caps from Coke and Sprite bottles, UPC codes from Campbell’s products, BoxTops from a variety of products in the “BoxTops for Education” program. If you buy a cell phone, the school can recycle your old phone. Ink jet and laser cartridges from computer printers are also collected year-round. All of these items help our school to earn Cash and Free educational materials. Thank you for your support! Please visit the school website www.queenofangelssch.org for more information about our school. Any questions, call the school office at 724-978-0144.